Ethan Jones took some time away from his busy writing schedule to discuss his action-adventure series and why he chose the indie writing path. Learn why book giveaways work for him and why indie authors have to invest so much of their own time and effort to make their projects a success. Arctic Wargame is the first book in Justin Hall series. Justin has been demoted because of a botched rescue operation in Libya, which was not his fault. Now he’s a desk jockey. Eager to return to field work, he volunteers for a reconnaissance mission, when two foreign icebreakers appear in Canadian Arctic waters. His team discovers a weapons stash, along with a plan that threatens Canada’s security. At the same time, the team falls under attack by one of their own and is stranded helpless in the Arctic. It is now a race against time for Justin and his team to save themselves and their country. I shopped my two novels, Arctic Wargame and Tripoli’s Target to agents and publishers over the course of 2009-2011. I received some great feedback. A few agents asked for a partial manuscript and two or three for a full. But no one was willing to make an offer or sign a contract. In the meantime, I kept writing. I had not considered self-publishing because it seemed like a lot of work and I had truly hoped an agency or a publisher would pick up my works. Upon the suggestion of a good friend, I dusted off my first novel, Arctic Wargame. I found three great beta readers, all published writers, and we took a new stab at my gibberish. Then I worked with two great editors and proofreaders, to create the best possible work. 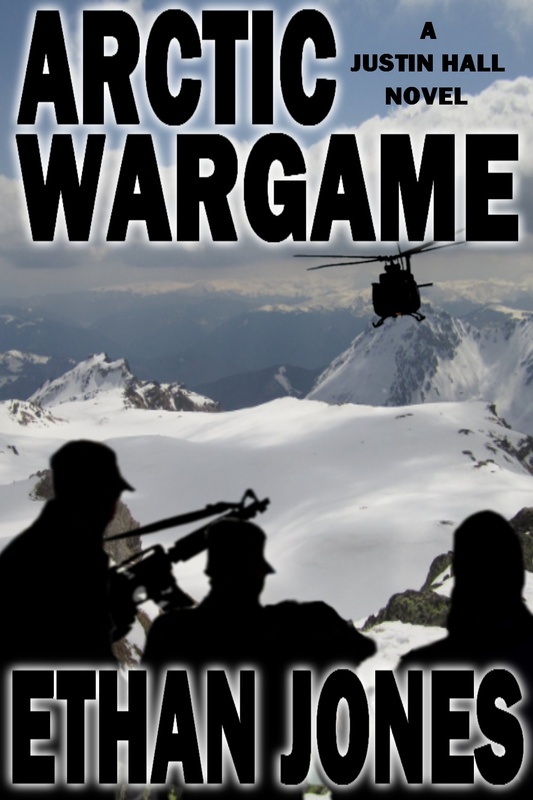 After formatting it professionally, Arctic Wargame finally saw the light of publishing through Amazon. The flexibility, the freedom and the low pressure are three things I liked about self-publishing. There are no deadlines, other than those you impose on yourself, and those are quite flexible. If the editor does not return your manuscript on time, there are no upset agents or publishing managers. If the cover art is not acceptable, there is always time for a second or third or fourth draft. Interviews and blog posts can be scheduled around your life, not the other way around. You are free to do as much or as little promotion as you want. The time, the learning curve and multi-tasking are three things I struggled with as I ventured into the self-publishing route. The first time is the hardest, of course. It takes a lot of time to find the right beta readers and editors. One must be willing to learn how to give interviews, how to conceptualize a cover design for their work, how to draft a press release and how to handle media inquiries. A new writer needs to promote his work vigorously, in order to make his name known among the readers. I have done many giveaways (people love free books). I’ve given interviews and written blog posts. I run a blog on writing, author interviews and book reviews, which I update a few times a week, and I have an active presence on Facebook and Twitter. But I have found that free day promotions on Amazon Select are the most successful tool to gain new readers. 5. What’s the most important thing you’ve learned about self-publishing that you didn’t know when you started out? It is a lot of work, most of it done independently. It involves a lot of multi-tasking, being creative and relentless. The writer needs to also be a salesman and a publicist, to take care of the promotion and the marketing of the book, and to work with an art designer for the cover. Then it’s time to format the work and upload it to the right distribution channels. And let us not forget your social network and web presence. Of course, most of these services can be contracted depending on your budget, but the majority of up-and-coming writers may not have the necessary sources to cover all or a part of these expenses. Depending on what one is willing to do on their own, the total cost for a book can range from a few hundred to a few thousand dollars. 6. Indie authors face the challenge of marketing their books without the resources of traditional publishers. What advice do you have for an indie just starting out? As I mentioned earlier, new writers need to be very active and very patient. Keep writing and become engaged in writers’ forums. Use Amazon’s tools and the social media on the Internet. Success will come, eventually, but not overnight. There is a long road, most of it uphill, but it can be done. There are many examples of self-published writers doing very well selling their books and entertaining their readers. Don’t give up. I’m working on Fog of War, the third book in Justin Hall series. This time, Justin infiltrates Iran to help extract a defector, a nuclear scientist who can provide information on Iran’s uranium enrichment program and its plans to build a nuclear bomb. Easier said than done. Fog of War will come out in spring 2013. Readers can get in touch with me via e-mail at this address: fictionwriter78@yahoo.com. I promise to write to each and every one of them. My blog, ethanjonesbooks.wordpress.com, is the place to learn about my future works, to enjoy exclusive book reviews and author interviews. Thanks for this opportunity. I truly enjoyed it.